Welcome to Penistone Railway Works! In 2012, after a break of over fifteen years, I returned to my childhood hobby and started building model railways. 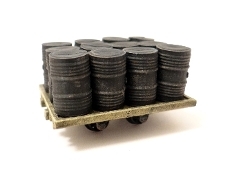 While it is possible to buy many items off-the-shelf I have found a number of scenic items and items of rolling stock which would be nice to have but which were not readily available. Fortunately the recent advances in 3D printing have allowed me to design and manufacture a number of these missing items; a process which I've been documenting on my blog. Rather than keeping these items to myself, I've set up Penistone Railway Works to make them available to the wider community. Currently the range of items is small, but a number of new designs are currently under development. 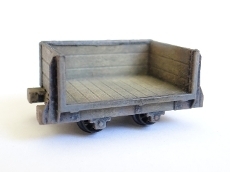 I also have plans to expand beyond 3D printing into electronics and laser cut items for the model railway scene. If you'd like to be kept up to date on new releases please join the mailing list.